Remember that I did some walking through Manhattan last weekend? Well on Sunday my friend set me up and was still home when I already was at the arranged meeting spot. I was furious - I am German and therefore punctuality was drilled into me from day one on..... Having somebody wait for over an hour is just not something I can handle very well.....So when I found out I decided to walk 20 blocks south (and 2 long blocks east) to the Ink Pad - the fantastic stamp store in Greenwich village, to spend my time in a more useful way....Turned out the the Ink Pad does not open before 12pm on a Sunday - what a disappointment! But it was after 12 when my friend actually showed up and since I was waiting nearby we decided to go there after all. Long story short I did some shopping.... Ever heard of shopping therapy? It does wonders sometimes..... I bought myself that cute Paper Smooches set Forest Whimsy - (among some other goodies) - I had my eye on it now for a while. 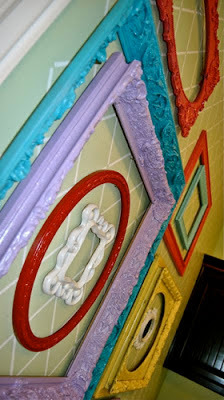 I used a Lifestyle Crafts embossing folder (classic) to mimic the wall on the inspiration picture. The frame is from Hero Arts. The coloring I did with Copics. 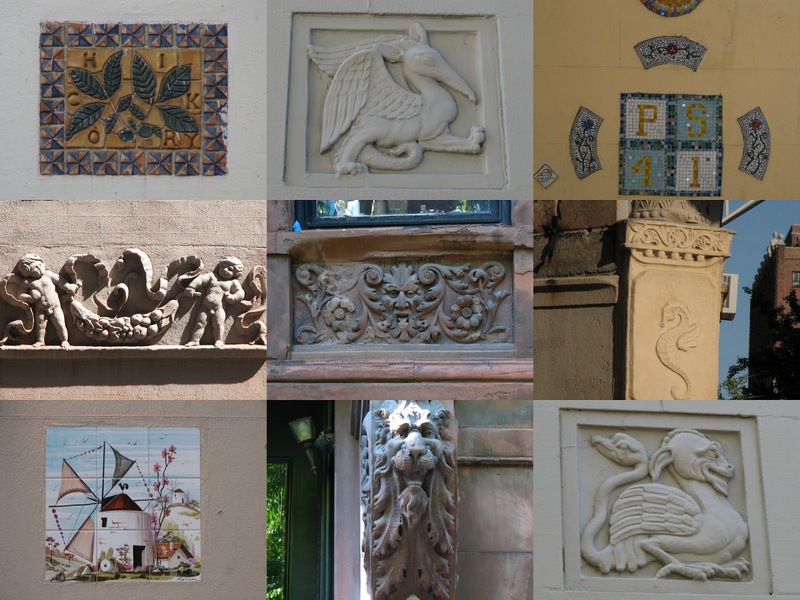 Want to see some Manhattan walking tour pics? 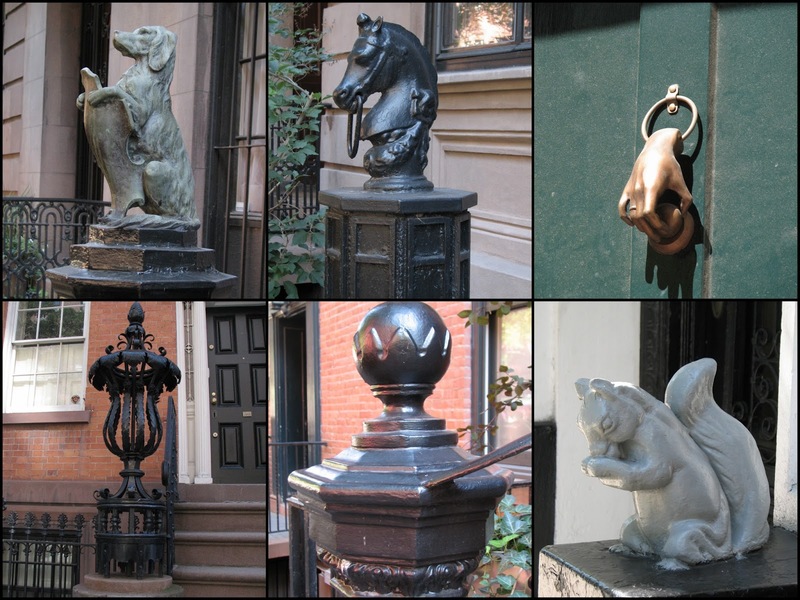 We covered parts of the West Village and Greenwich village. Thanks for stepping by - I wish you a lovely weekend! I used alcohol inks on acetate. The die cut is from Simon Says and the sentiment is from Impression Obsession. The butterflies are made with a Martha Stewart punch. It was a little tricky to make the butterflies. The acetate I used for the card was too thick and the punch did not work I used thin acetate for my next try, but it punched it badly. Finally I used thin acetate and a layer of paper on top and that did the trick. On the card the colored acetate side is facing the white card stock, so the surface is clean and shiny. The white frame I just cut out of card stock with my paper trimmer. This is the inspiration photo. Its a shaker card with sand in it - you can see how the sand moves. Such a cool idea! Absolutely adorable! I was so touched. Thank you Rosi - you are really amazing! Go and visit her blog - not only does she make fantastic cards, but she also bakes and cooks and right now you can get a recipe for a delicious Baily Mousse cake, mmmhhhh! The Twinery is setting the mood for that with their Back to the School Bus challenge. The school bus I got from the internet and printed it onto yellow paper. I paper pieced the windows. the children in the bus i made with my fingerprints and doodles their hair and faces. The bus tires I made with twine and a brad in the center. I popped the bus up with foam dots for dimension. Some Washi tape, a Hero Arts sentiment and a twine bow to finish it off. I hope you like it. Bird Brain, Jibber Jabber and All about YOU. 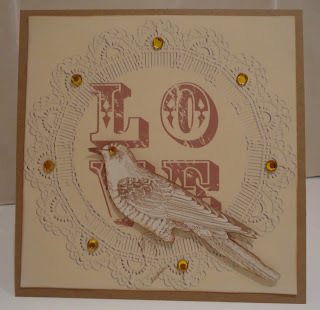 The white sentiment is heat embossed, the birds are colored with Copics. Two enamel dots to finish it of. I white embossed them and put tiny red perfect pearl dots as spider eyes - not sure if you can see them. 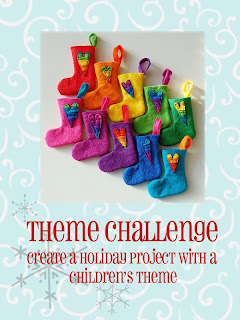 Festive Friday's theme is Holiday card with a children's theme. Well, that can be anything playful I guess. I really liked the inspiration picture, but could not come up with anything that worked, so I took a completely different approach in the end. I punched two circles into white card stock, stamped, colored and fuzzy cut the reindeer (Hero Arts Christmas Reindeer). Choose some matching background paper and used some of my washi tape. The strip with "Merry Christmas" is just patterned paper. This card was a lot more work than it looks like. I usually don't spend so much time on my cards....But its cute, I think! One Layer Wednesday - One-One-One is the challenge, meaning one stamp, one color and one sentiment. A nice little twist on one layer cards. I decided to also do some sponging to give it more depth. Or is that not allowed? I have no idea. Maybe I should call it one-one-one-one? Just kidding. I looked at this inspiration photo from Inkspirational several times - but tonight the inspiration struck! I used to die cut circles and sponged around them. 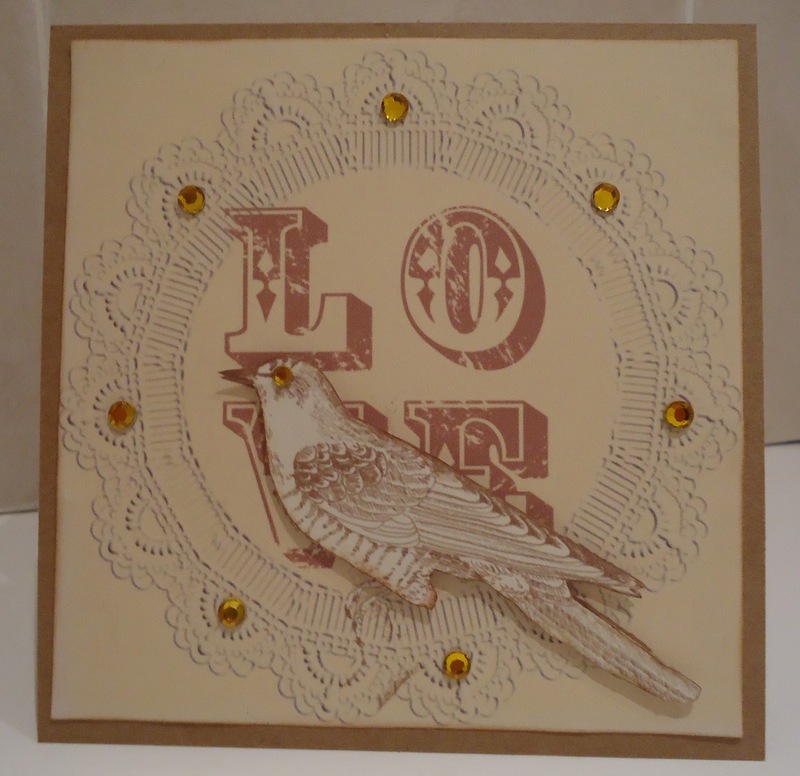 The "LOVE" letters are Papertrey and the bird is Memory Box. I used the same ink to color the bird - any one of my grey papers did not fit. I put a small enamel dot as eye and I used some sparklers from Stampendous for the little bling. Oh yeah, the red strips are just done with markers. And now its late - I wish you all a good night and thank you so much for visiting my blog and leaving all those beautiful comments - I LOVE them so much! 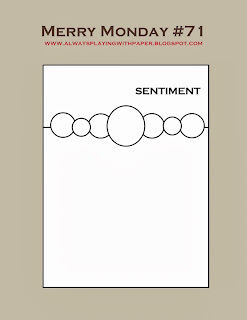 I combined two patterned papers (My Mind's Eye) and added the sentiment - Papertrey Mixed Messages. Since it looked kind of bland I added some Stickles - don't you think that Stickles always improve cards - the jump up at least one level - from "so so" to "not bad" or even "looks good"
Die from Papertrey and Simon Says, sentiment from Impression Obsession, Fiskars impression plate, Scor Tape and of course glitter! I hope you like it. I am off now into the city to do some more walking - another gorgeous day today! 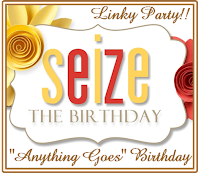 Its party favor challenge over at Little Tangles - which is celebrating its birthday! Happy Birthday and many more to come! It was fun to come up with something different than cards. I went to my favorite Chinese take-out place and got a container from them. The cute little chick is a freebie from Neat &Tangled and I printed out the bow a couple of times, which I used to decorate the rubber ducky and the chopstick envelope. The Paper Players challenge is one layer cards. I really like to make them. Initially I found them impossible to make, but I have learned a lot from Heather Telford and just got better over time. Practice does help. I really like this card. My husband just shrugged his shoulders - it was too bland for him. But I find it quite expressive. I made it for a friend of mine, who had one of her good friends die and she emailed me today about it. So its kind of a sympathy card. 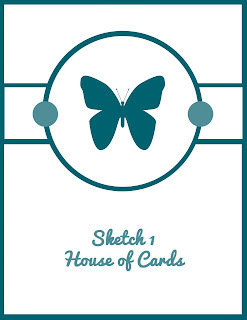 Classic and elegant is the theme at House of Cards this week. The sketch remains the same. I somewhat freely interpretated the sketch. I punched out a 2 inch circle. I sponged the background of the panel behind it. I used the Memory Box Fresh Daisies die and then used the negative die cut to sponge the daisies onto the colored panel. The sentiment is from Stempelknopf. I like the yellow/grey combo - I hope you like it too. Wanna see more Canada pictures? Pretty amazing, those animals. we had so much fun watching them.